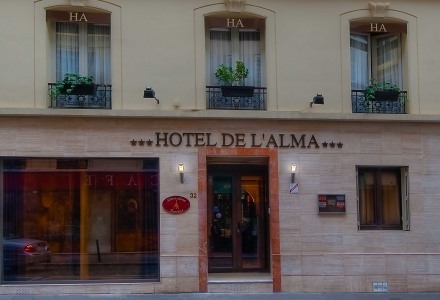 The Invalides , the Champ de Mars , the Ecole Militaire and of course the Eiffel Tower are just a few of the Parisian landmarks which constitute the amazing setting enjoyed by the Hotel de l'Alma. We are situated just a few steps from the banks of the Seine and two of the most important museums of Paris, the Quai Branly and the Orsay. A stay at our boutique hotel offers many opportunities for exploring the elegant streets of the Faubourg Saint Germain and its traditional bars and renowned restaurants. At night, the enchanting illumination of the Eiffel Tower, the lights of passing river boats and the gentle glow from the iconic Haussmann facades make for a magical atmosphere. We are a family run hotel so we like to treat our guests as family and will do our utmost to make you feel welcome. We strive to create a warm and intimate environment conducive to relaxation, where everyone can feel at home. Our location is ideal for attending to business in the government district and perfect for a holiday or a weekend getaway. Well served by public transport, our hotel allows convenient access to the train stations and airports of Paris and the places of interest, tourist attractions or business districts in the city. Shopping, culture, art, history, fashion; the many facets of Paris are quickly and easily accessible from our hotel. A business meeting? An anniversary to celebrate? A romantic break? An exhibition you simply must see? 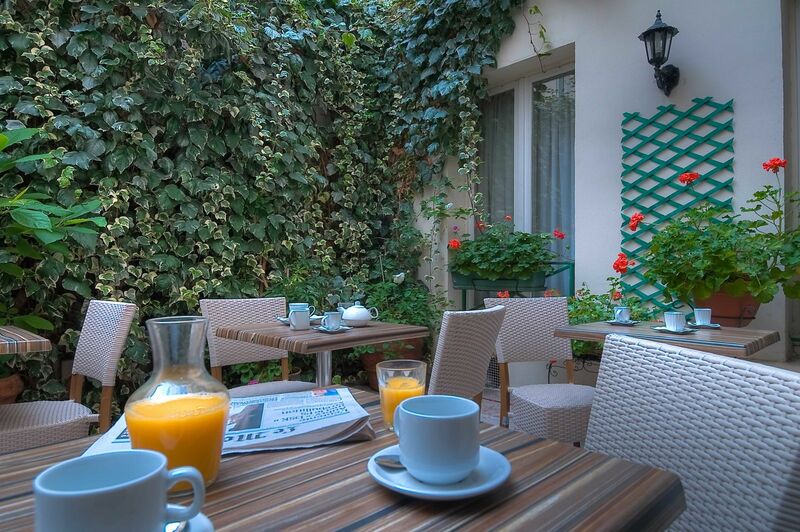 These are all perfect opportunities to enjoy the warm and relaxed atmosphere of our charming hotel!